Oh man, the fishing industry thinks of everything. Did you ever think, I've got this fish-finder on my boat, so why can't I use it for ice-fishing? You can, because Raymarine has introduced a kit. 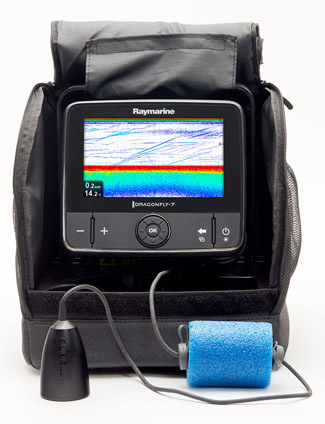 The Raymarine Dragonfly Ice-Fishing Kit enables you to convert a Raymarine Dragonfly Sonar for a boat into one for the ice. 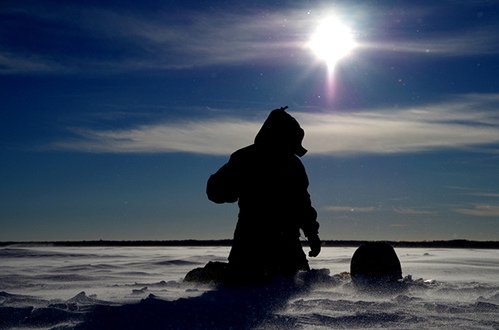 The kit is portable, is built to withstand winter, includes a waterproof bag with extra pockets for tackle and some rod holders, and runs on a battery. Oh man, click the links for details.